Talon also offers ER and TG collets and Pull Studs. Accuracy and Rigidity - All collets are produced with a 16 slot system for rigid clamping and extra concentricity. Full range of Sizes - ER16, ER20, ER25, ER32, ER40 in most popular metric and inch hole sizes. Quality - All collets are made of high-grade spring steel that is hardened and precision ground. ER and TG Collets are made in a DIN 6499 execution - 0.0004" or better. 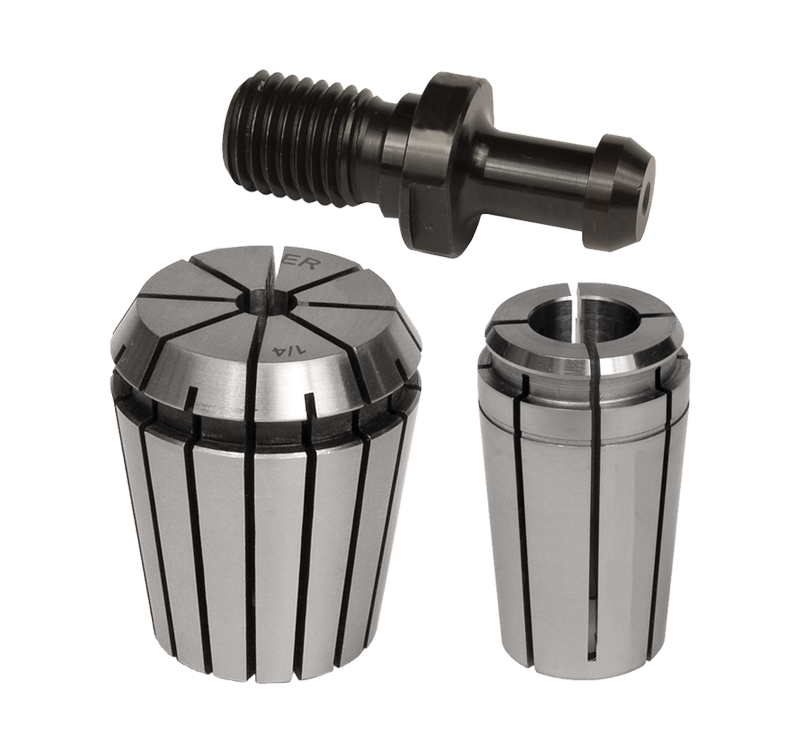 Pull Studs are available for the industry's most popular machine tools.